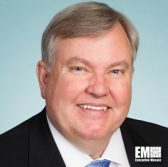 Richard White, president of SSL‘s government systems business, said in a Geospatial World report published Thursday the actual satellite servicing process can change depending on a client spacecraft’s design, orbit and requirements. SSL has designed a platform to help repair government and commercial satellites in orbit. The Maxar Technologies subsidiary is working with NASA and the Defense Advanced Research Projects Agency through the Robotic Servicing of Geosynchronous Satellites and Restore-L programs.